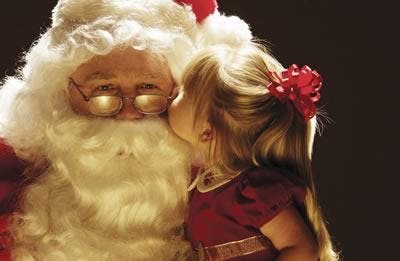 Join Santa, up close and personal, for a hot buffet breakfast at Red Rocks Cafe at Birkdale. Bring your camera along to take photos.Santa will mingle at every table, so no need to wait in line. Festive holiday jesters will also provide tableside entertainment. Two seatings available on December 8 at 8:30-9:30am or 9:45-10:45am (9:45 a.m. seating is SOLD OUT). All children receive a goody bag. All proceeds benefit Our Towns Habitat for Humanity, a non-profit ecumenical organization that partners with guture homeowners, volunteers and donors to build permanent affordable housing solutions in North Mecklenburg and Iredell Counties. Learn more at ourtownshabitat.org. If anyone in your party requires special accommodations, such as wheelchair accessibility or a high chair, please let us know by emailing info@ourtownshabitat.org. Please email info@ourtownshabitat.org with any questions. All sales are final. If you are unable to attend and would like to transfer your tickets to another party, please email info@ourtownshabitat.org.